This is a citrusy scent with a mix of florals and warm spicy notes. It starts off a bit heavy but settles down soon enough, with lighter florals mixing in with the zesty citrus notes. Some of the warmer notes start to pick up as the day wears on and there is a hint of sweetness, but on me, the perfume also gets quite a bit lighter. There might not be much of this fragrance left on me at the end of a particularly warm summer day, but I find Chance Eau Fraiche a good pick for the cooler days of spring. 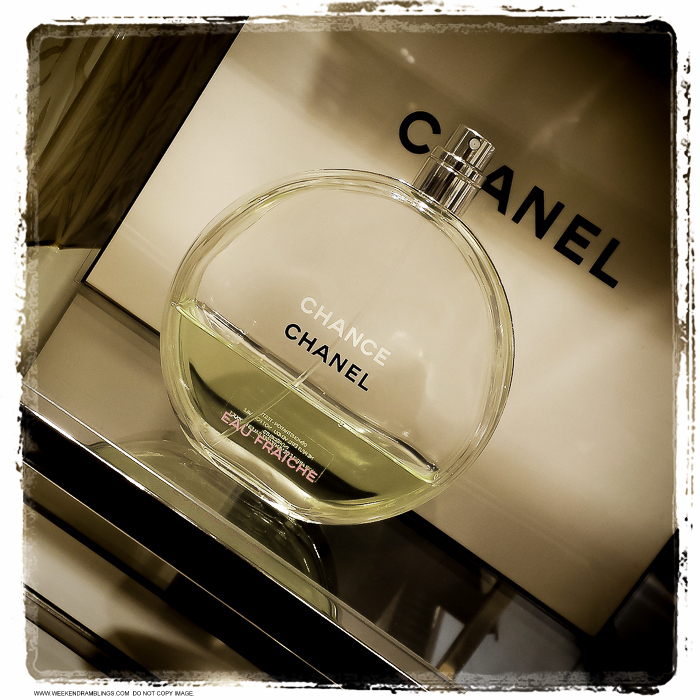 It's fresh and girly without being too sweet or too strong and is a good fragrance for days when I want something casual. This would also make a good perfume choice for someone who finds most other Chanel perfumes a little too "grown-up."